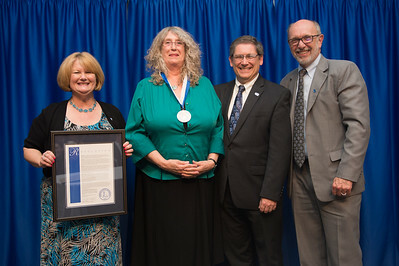 Indiana State University honored seven educators during its annual Faculty Recognition Banquet Thursday.President Dan Bradley presented the President's Medal -- the university's highest award for faculty -- to Cinda May, chair of Special Collections at Indiana State's Cunningham Memorial Library. "It is such an honor to be selected as a recipient of the President's Medal -- and totally unexpected," May said. "To be recognized for my accomplishments and contributions to ISU and librarianship is very gratifying. But I would be remiss not to acknowledge all of the people who have believed in me, encouraged me, and even challenged me throughout my career. Without them I would not have explored the range of my abilities, or plumbed the depths of my resourcefulness. From them I learned resilience, commitment and the importance of being true to oneself. Every day I aspire to pass these lessons on to others, especially students, who are just commencing their life journeys." May earned her bachelor's in English from the University of New Orleans. She holds three master's degrees -- in English from the University of Texas at Austin, in information and library science from the University of Michigan and in history from Indiana University. 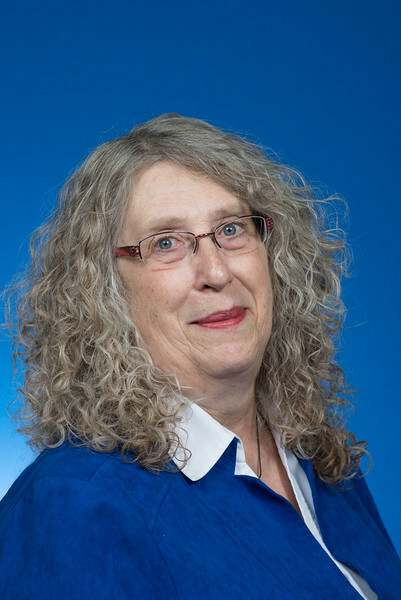 While she has led and planned numerous initiatives, projects and events, May said serving as project director for Wabash Valley Visions & Voices Digital Memory Project -- now in its 12th year -- is one of the most rewarding experiences of her career at Indiana State. "Being the project director of Wabash Valley Visions & Voices Digital Memory Project has been the most meaningful experience for me," she said. "With 20-plus community partners across six counties in west central Indiana, the Visions Project has afforded me the opportunity to work with other cultural heritage professionals to document, preserve and provide access to the history and culture of the region. It has also given ISU students interested in pursuing careers in public history or special collections librarianship a chance to directly participate in the collection, creation and management of local history resources." Indiana State University honored seven educators during its annual Faculty Recognition Banquet Thursday.